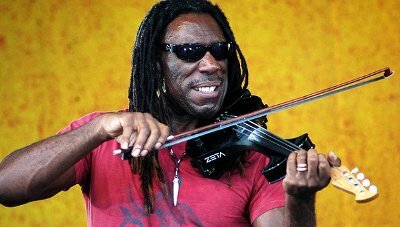 Boyd Tinsley, the violinist who has been part of the Dave Matthews Band since its earliest days, has decided to take a break. Boyd has been a member of the family since the band began and we want him to focus on his health and get better. We support his decision to do this and we’re sending positive thoughts his way. Tinsley grew up in the same neighborhood as fellow DMB members Carter Beauford and the late-LeRoi Moore and met Stefan Lessard as part of the Charlottesville-Albemarle Youth Orchestra. He was asked by Dave Matthews to play the violin part on the song "Tripping Billies" for their early demo tape in 1991 and joined the band as a member shortly thereafter. Tinsley has two children with his wife, Emily.